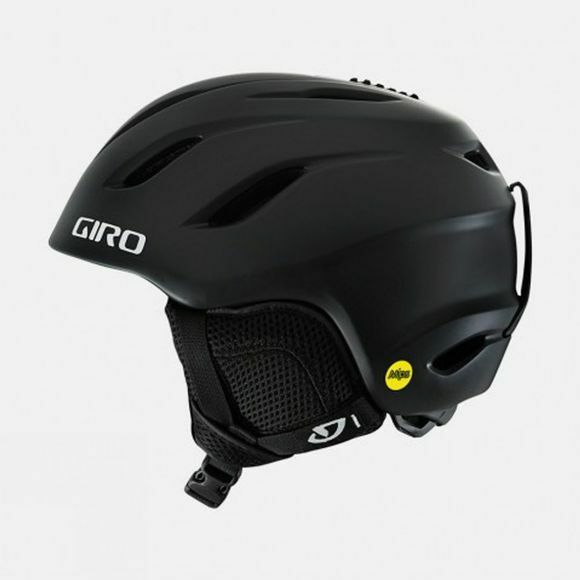 The Giro Nine Jr. MIPS is a versatile design offering lightweight comfort, kid-approved style and the Multi-Directional Impact Protection System, a slip-plane liner that can provide more protection in certain impacts. The in Form Fit System assures a secure fit while adjustable venting regulates airflow to help keep goggles fog-free. MIPS - Multi-Directional Impact Protection System MIPS is a step forward in helmet design. There are three main components to a MIPS-equipped helmet: the interior foam liner, the Low Friction Liner and an elastomeric attachment system between them. In an angled impact, the elastomeric attachment system stretches to allow the foam liner to rotate independently around your head. The goal of this technology is to further reduce rotational forces. The In Form system is a low-profile fit and stability system that makes it easy to dial-in the fit and feel of your helmet in seconds – even with gloves on. An ergo-friendly dial at the base of the helmet provides up to 6 cm of fit adjustment, and the system also includes a separate vertical turning feature that adjusts the fore / aft tilt of the helmet on your head to enhance peripheral vision and optimize the fit of the helmet with goggles.